How does our environment affect us? How can we affect our environment? …After all, how we move is who we are. Through millenniums, the movement requirement for food and survival designed our body. At our present moment, we find ourselves over nourished in terms of food and lacking nourishment in terms of movement. – Bring awareness on our daily movement requirements due to our past relation to food foraging. 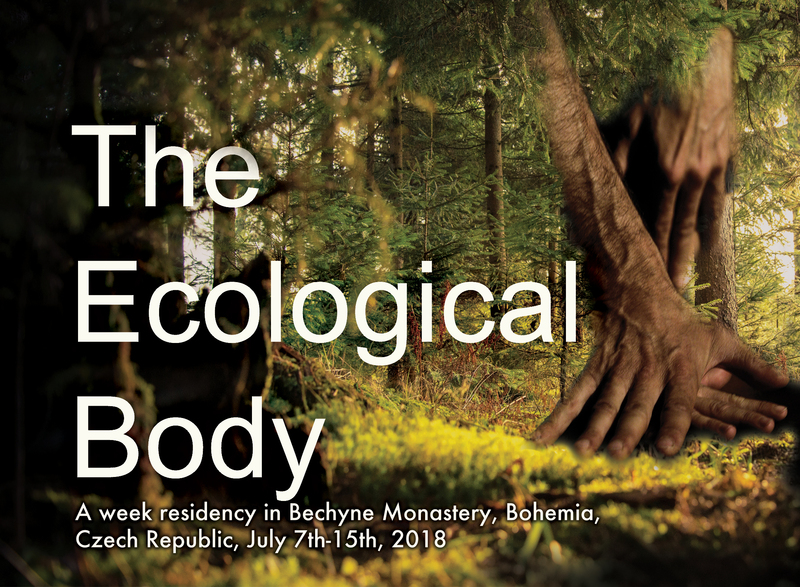 -Develop ways of knowing, learning, and practicing that come directly from the environment: The gardens, forests and rivers surrounding the Bechyne former Franciscan Monastery are the perfect context to re ground our movement relation with Nature. -We will walk, run, climb, squat, lift, carry, etc. and apply these natural movements to dance, contact improvisation, tango, and martial arts. 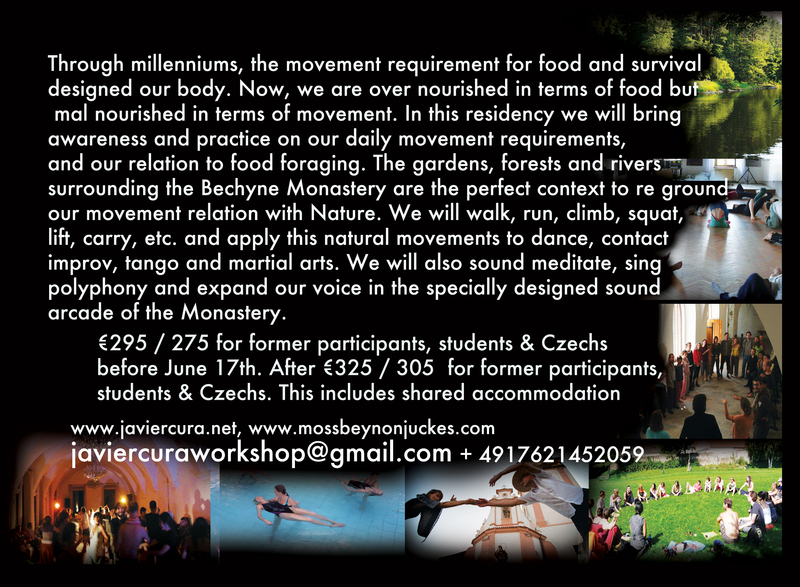 -We will sound meditate, sing polyphony and expand our voice with movement in the specially designed sound arcades of the Monastery. -We will get in touch with ourselves and others, jam together dancing and playing music, cook, explore and reflect, with the hope of facilitating the embodiment of individual and social transformations. DATES: 7th to 15th July. Note: there is the possibility of a reduced stay. COST: Early bird price BEFORE 10 June: 295 / 275E for former participants to Bechyne ws, students & Czechs. AFTER: 325 / 305E for former participants, students & Czechs. Cost includes: Accommodation in shared rooms in nearby elementary school. Food is not included. There is an enormous kitchen in the monastery and cheap good restaurants nearby. If you wish more luxury there is a list of alternative accommodation.